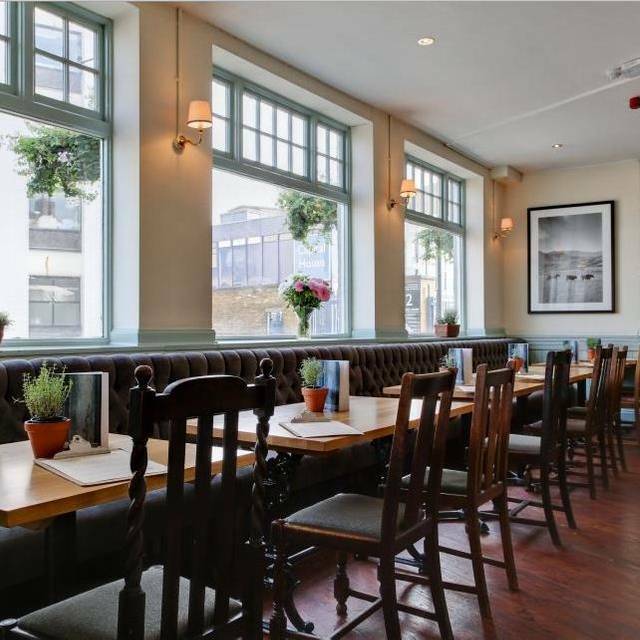 You must make bookings at least 5 minutes in advance of the time at The Rose Fulham. 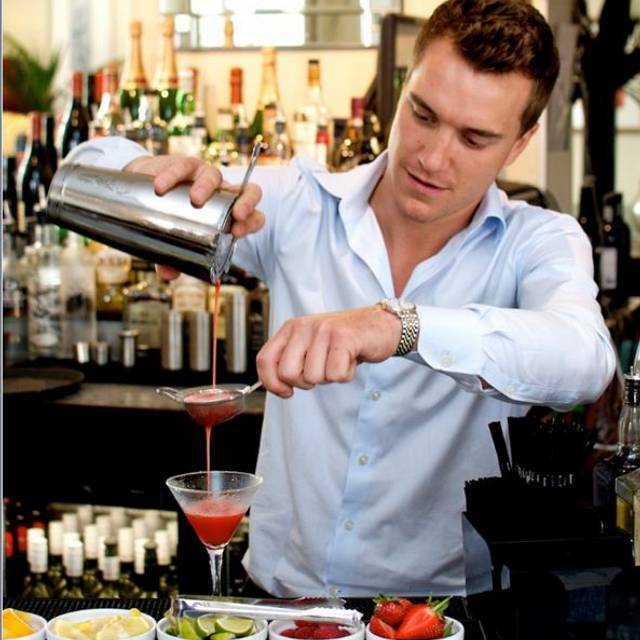 The Rose is located adjacent to the Kings Road, Chelsea, and close to the Fulham Road. The river Thames is close by with the developments of Imperial Wharf and Chelsea Harbour a short walk away. Chelsea Football ground is 5 minutes walk. We can work with you to design a delicious menu for a casual occasion or a formal meal that will meet your exact requirements and budget. The Rose is considered by many to be Fulham’s Village Pub! Owned and operated by the same team as the Loose Box in Westminster. Sunday Lunch is something Not To Be Missed!! We were staying up the road for a week and decided to come here early on a Sunday night. We booked for a party of 6 no problem on OpenTable but for whatever reason the restaurant didn’t show our reservation when we got there. Nevertheless they seated us fairly quickly, but unfortunately next to a birthday party of people who had a few too many and were very loud, and constantly leaving the back door open (and the smoke in). The vibe in the place is cool, big round bar in the middle and lots of nooks with tables and a big outdoors. The service took a bit to get to us and appeared to be a bit overwhelmed trying to manage a full house and patio. They were very polite and able to answer any questions we had though. Seems like they have daily/nightly specials, and our group all enjoyed the food and drink. Had we not had the experience with the party next to us I’d likely rate them a tick or two higher as a very good local pub. A great find. One of the best Sunday roast's I've had in a long while, absolutely bursting with taste, including perfectly cooked veg. A good selection of wine, a balmy (if occasionally noisy, dependent on the crowd) garden, and a friendly and helpful team. Definitely a returner! Fabulous service and food - we sat in the garden with the lovely Wisteria in bloom it was great. A great roast lunch as always. Very good service and always a friendly place. I took my parents there for dinner and it was too loud and full of people boozing. No atmosphere for dinner.. the dining and bar area needs to be separated for a Saturday night. Sunday roast was good as normal. Yorkshire puds weren't great though which was a shame and parsnips really undercooked. Lovely food and great happy hour! A nice quiet pub for a relaxing midweek dinner. The restaurant did not have my reservation even though I had a confirmation from Open Table. Even though they said they could accommodate us the vibe was very different to what was depicted on the website. It was a very noisy environment that would have been very difficult to have a conversation over dinner. We decided to go elsewhere. She also cleared my plate while my friend was still eating ! Never acceptable. My burger and my friends were both burnt. I will not be back . Nice little pub ideal for the young and trendy good food, cocktails were popular there. We enjoied our sunday lunch with roast and yorkies! Visited for a Sunday Roast. Good service. Reasonable food. Made a last minute reservation, and we were not disappointed!Good food & drink, friendly staff, and a relaxing atmosphere. The garden is gorgeous, but that's pretty much it. The food is average and over-priced, especially the fish and chips: a lot of chips, a lot of batter, not enough fish. We were very impressed. The food and the service was exceptional. Perfect Sunday Roast. We liked the dimmer lighting and even though. The restaurant was crowded felt we had privacy. On arrival the restaurant advised us that we did not have a booking as they no longer accept bookings from Open Table. You appear not to be aware of this fact! They did however find us a table and we had a pleasant evening. Really good service on a busy football day. Food was delicious. Highly recommended. Great location for Chelsea FC, good beer selection but restaurant / food can not cope on match days. Meal for 6 people 3.5 hours before kickoff was a poor experience with food arriving at different times, some of it was cold and had to be returned. 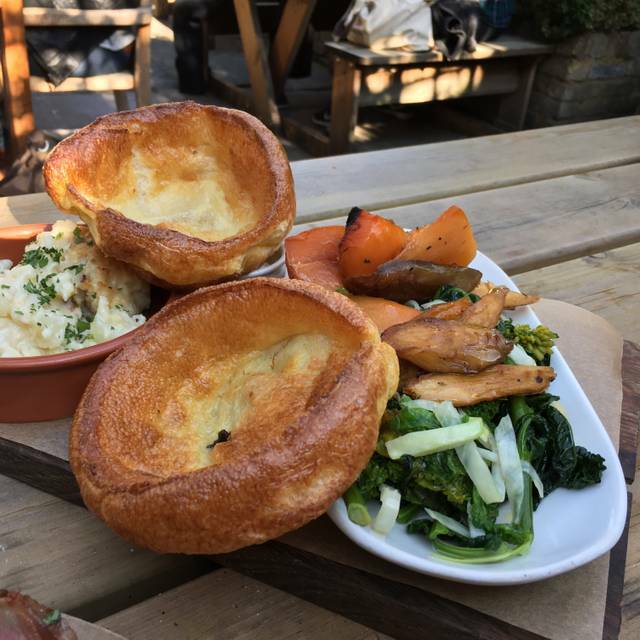 One of our favourites in Fulham, great pub, lovely food and drinks, a great heated garden and the friendliest staff you could wish for. Good to find the Fulham Rose. Went there for a Sunday Roast which was excellent and very generous when it came to portions. Lovely place to spend a Sunday lunchtime. Nice and bright and with its own outdoor seating area. Will definitely go again and try their weekday menu and 2 for 1 cocktail hour! Excellent sunday lunch ! lovely little back garden. Food was fantastic and a great price for London! We had the Butchers Platter and sweet potato fries and everything was delicious. Great service too! Arrived at the allotted time and was taken straight to our table. A drinks order was taken while we waited for our friends to join us. The service was attentive to the point I felt a little rushed in making a dinner choice, better that than waiting for service I suppose . Once we had all arrived our order was taken and it was a short wait for our meals to be brought to the table. 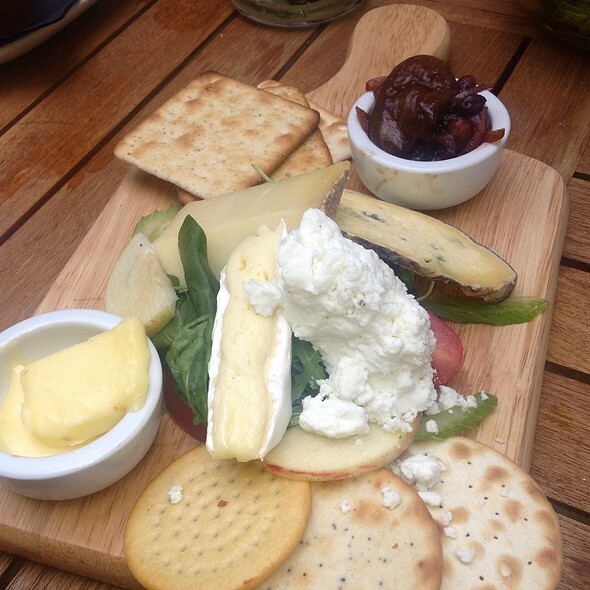 Quality was excellent as always and the price was as you'd expect for good quality food in a vibrant Chelsea pub. Will be coming back again. Fabulous food with fresh vegetables and attentive service. 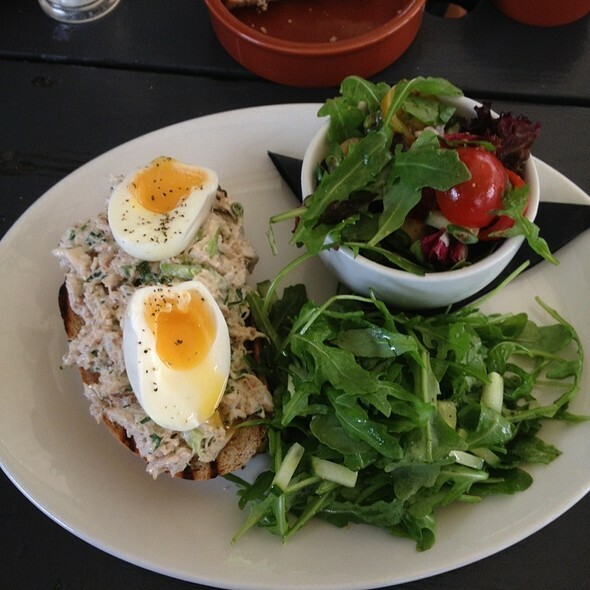 The outside garden has a lovely relaxed feel but the quality of the food was not good. Also there was not a good wine selection....we asked for Chardonnay which was unavailable and also port with was not available. My guest then ordered a sherry which was undrinkable and had to settle for another glass of wine . We loved this pub. The atomshere was perfect. The food was even better!!! New menu and it is worth the trip. Louis was our server and he was excellent!! If you are traveling anywhere near, please stop by you will not be disappointed. I guarantee it!! Its a proper Pub with food, its not Made In Chelsea (although I think some do sneak in), but that is a good thing. Large group of City/Professional old friends & colleagues now scattered and moved on with lives/familys always meet for a beer or two in the Rose pre-match and particularly in the summer will have decent lunch or b-b-q outside on large part covered terrace. Great to have a consistent base to meet for our ever changing group and know it has decent food and drink, good setting and accomodating staff. 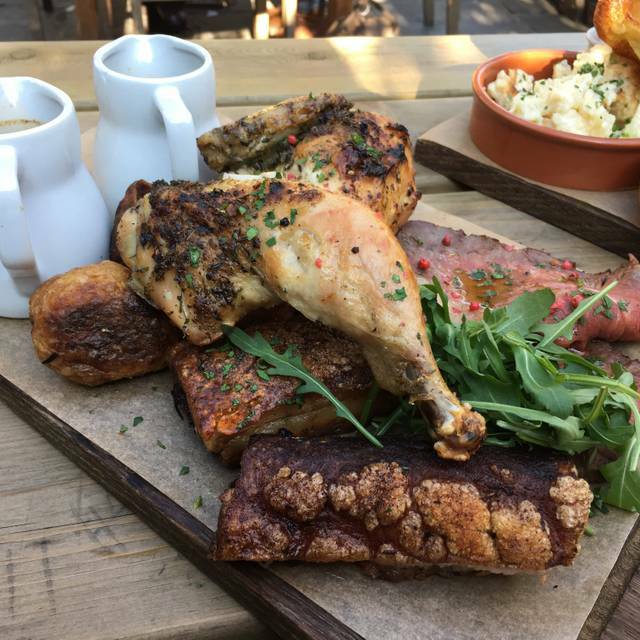 Food ranges from well done pub classics to more gastro pub with the chefs occasionally being more adventurous and is delivered well & promptly from a busy kitchen. End of season and special occasions we have a large group lunch in the upstairs dinning room and the manager and staff are always very accommodating and is a very relaxed way to meet up with good friends and eat a good lunch at reasonable, for Fulham, prices whilst enjoying the atmosphere but not being dominated by the boisterous bar downstairs, avoid the jostle of queuing and a little less waiting for drinks. And then a few beers in the garden after the game. Staff are busy but helpful & welcoming and manager looks after loyal customers like old friends. 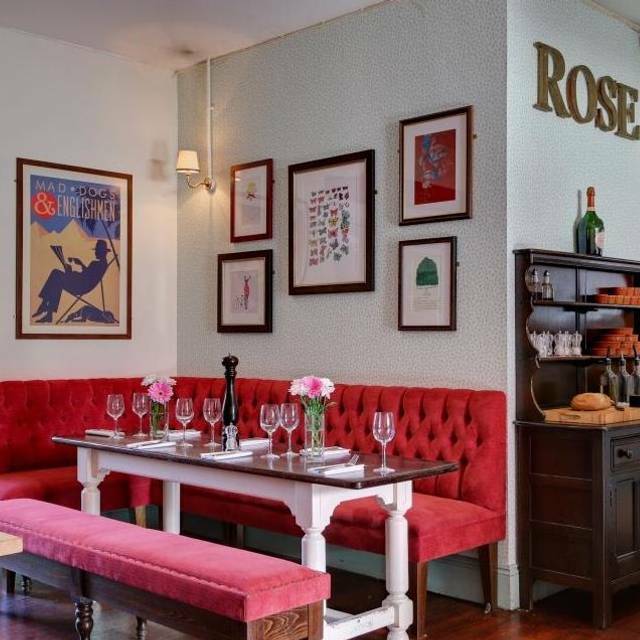 So I recommend the Rose for a decent casual lunch or dinner anytime with a few drinks/mates but particularly on a sunny day - avoiding the football crowds if you want (if you don't like football crowds then check interweb beforehand, they are the regulars so you are joining them not v.v.! - its only part of 1 out of every 14 days and now high summer is footie free) - but also for those who enjoy a few beers, possibly a bite to eat, and a chat with their mates (just like a pub used to be) before a match in a moderately grown-up atmosphere. 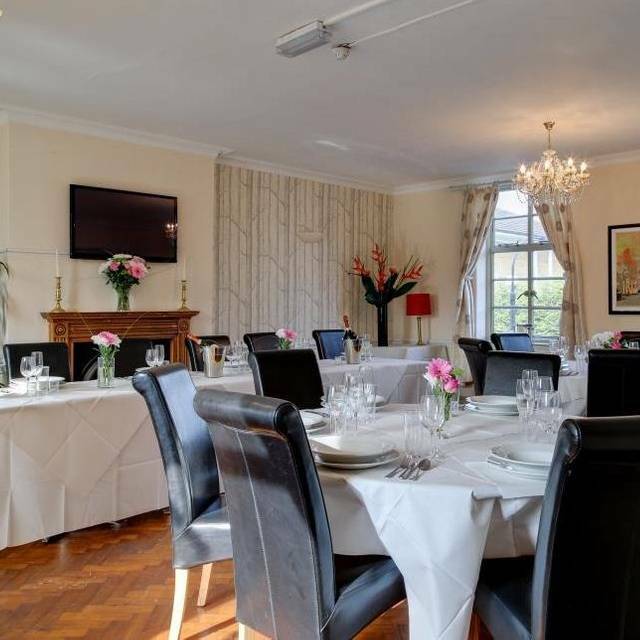 For special occasions/big groups book the upstairs dinning room for a degree of calmness in the chaos on match day but a more sophisticated experience for a large group non-match day. Took friends visiting from America and we all loved the Rose. My wife and I have been multiple times and the Sunday roast is just fabulous. More food than you could possible eat and just delicious. Nothing really it was average. We had a lovely Sunday afternoon at The Rose this past week. We made a booking and were greeted warmly and seated immediately. There is a good wine selection to choose from. I had the lamb roast and as usual it was very good, very tender. I particularly like the mint and the cranberry sauces that accompany the meat. The potatoes were a bit tough but the vegetables were delicious. My husband had the pork chop, which did not quite live up to how delicious it sounded. It was good, but not great. Just a bit bland. The atmosphere at The Rose is really grreat and friendly. Our server was a bit over-anxious to take our order but then was fine. The pub has a lovely garden out back that I can't wait to try out when the weather turns warmer. We highly recommend this restaurant.